Take a look and experience what sensory overload is like for a boy on the autism spectrum. If you’re interested to know more about how this film was made, take a look at the short behind the scenes documentary. Take a look at our latest Newsletter. Click below to view. If you’re not sure about computers, or you know someone who needs a bit of help, why not drop in and chat to our team about the support we could give you learning basic computer skills. 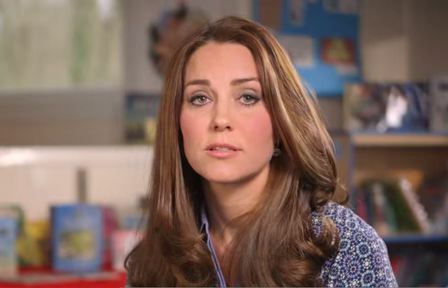 Kate Middleton spoke about children’s mental health in a video recording, with one of her key messages being that parents shouldn’t be embarrassed if their child needed counselling. The internet can be a minefield these days. Parents are being urged to make sure they know what their children are looking at online. To mark Safer Internet Day on 10 February, the Community Safety Partnership has issued internet safety advice for parents and young people. The Community Safety Partnership online safety advice includes links to Bedfordshire Police and CEOP (The Child Exploitation and Online Centre) where further information is available with ways of reporting online issues. Students working with ‘Inspired Life’ including, taking part in physical activities on a canoe trail; helping to create a raft; unloading of canoes and paddles and checking their buoyancy aids. Students worked together to paddle and steer rafts and canoes up and down the River Ouse. Everyone had fun, and showed great team spirit! “I’m Red, I’m Yellow, I’m Blue, and I’m Green” – not quite a rainbow yet then! Working with Judy, from ‘Clarity 4D’, students discovered their individual strengths and roles within a group. A fascinating insight into each individual. Helping out at ‘Trinity Arts & Leisure Centre’ to set out football and badminton equipment (and, of course, testing it out with a few games). Kick Start Summer students make their final voyage using canoes to navigate the River and lock to reach their final destination. After a 6 mile paddling expedition we made it to the BBQ! This was the final activity in which the students worked as a team to reach the woods and have a celebratory BBQ with Inspired Life. The students are now off to start their next adventure – gaining places with either First Place Training or other local providers to continue their education and training. Health and Social Care, and Childcare students were putting their theory skills into practise during a painting workshop. The students were learning valuable skills to take into the work place. They are now confident that they could set up a painting activity, display children’s and clients work, in addition to creating an all inclusive learning environment. They discovered the many benefits and learning outcomes of ‘painting’. Good fun was enjoyed by all. Click to view more information on Childcare or Health & Social Care courses.